Also called satin flower because of the shining quality of its pure white flowers. This is an invaluable plant for semi shade, and growing with bluebells and red campion, it provides the perfect foil for those rich colours. 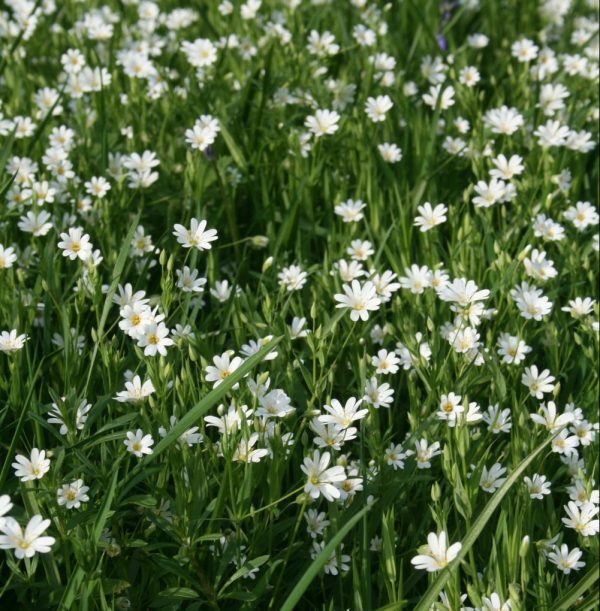 The name stitchwort is ancient and refers to its use for curing sudden pains or stitches, believed to be caused by elf arrows.